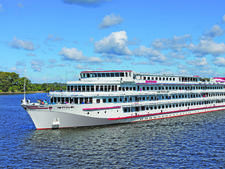 Zosima Shashkov, part of Vodohod’s fleet of river cruise ships, is a four-deck vessel that has been purpose-built for sailing along the waterways of Europe. This vessel, which bears the name of a minister of the Sea and River Fleet of the USSR, was built in 1986 and can hold up to 296 passengers. 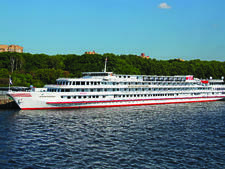 Zosima Shashkov was fully refurbished -- receiving an upgrade to its facilities -- in 2012. 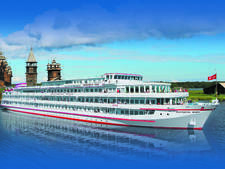 Onboard, there are two restaurants, one of which converts into a nightclub, as well as a piano bar, coffee bar, solarium and sauna. All of the accommodations onboard Zosima Shashkov are outside cabins which feature air conditioning and en suite bathrooms. Most of the cabins -- excluding those on the lower deck -- offer large windows. 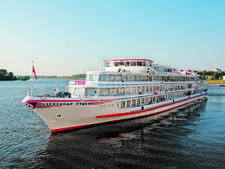 Entertainment onboard Zosima Shashkov includes live performances by Russian folk musicians and classical musicians, as well as Russian cultural and historical activities, such as Russian singing, dancing and nesting doll painting lessons. 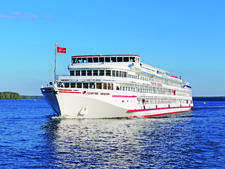 For a true taste of Russia, passengers can take part in a vodka tasting and Russian tea ceremony. 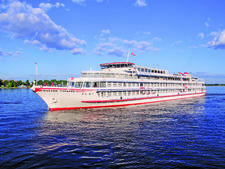 A typical itinerary onboard Zosima Shashkov would involve cruising the waterways between St. Petersburg and Moscow. 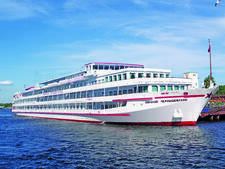 Passengers who venture ashore can take walking tours that highlight the history and culture of Russia’s famed cities, focusing on sights like architectural landmarks, cathedrals and museums. Zosima Shashkov’s two restaurants serve European cuisine, along with traditional Russian fare. Breakfast is a buffet spread, while lunch is usually a hearty meal that features at least one Russian soup -- an essential staple on most lunch menus in Russia. Dinner can be something of an event onboard Zosima Shashkov. 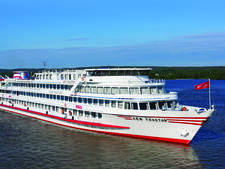 There are themed nights that highlight the food of various Russian local regions and the ship’s chefs pull out all the stops for the Captain’s dinner, which often showcases Russian culinary specialties.